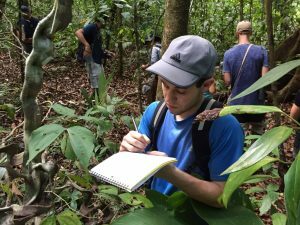 New Education Vacation Package Option with Saladero EcoLodge! 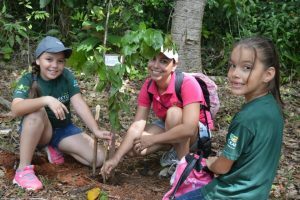 We are pleased to offer a new educational vacation package in partnership with Saladero EcoLodge, one of Tripadvisors’ #1 rated eco-lodges in the Osa! Osa Conservation has been partnering with Saladero since 2014 on the Wildcat Monitoring Program and we are excited about this new joint eco-friendly opportunity for visitors! 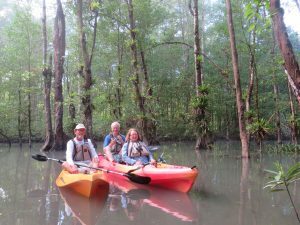 A bit about Saladero: Saladero is more than just an lodge, it is also the home of the owners, Harvey and Susan, who will welcome you with open arms as a guests in this magical and pristine part of Costa Rica ( their lodge is accessible only by boat!). 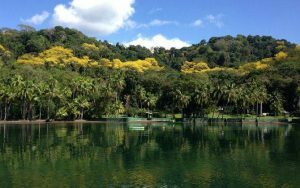 Enjoy your stay in their sustainable and off-the-grid location which features an environmentally sensitive 480 acre private preserve set in the undeveloped Golfo Dulce and the seldom visited Piedras Blancas National Park. 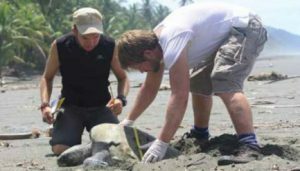 It includes ½ mile of coastline on the Golfo Dulce, 30 acres of gardens and 465 acres of primary rainforest. You can visit their website here. 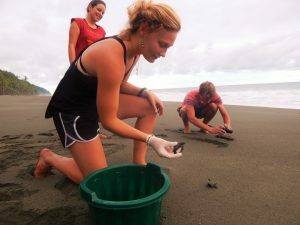 Hands-on field experiences in turtle conservation, wild animal monitoring, reforestation and healthy rivers. Come join us and reserve your spot today !